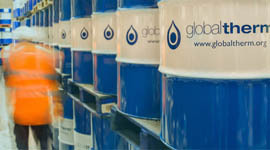 The Global Group is a strategic partner to manufacturers operating in the UK, Europe and Internationally and comprises 4 companies with interests ranging from heat transfer fluids and engineering services to the supply of hygiene and industrial cleaning products and logistics. You can use the links on this page to visit our individual company sites. 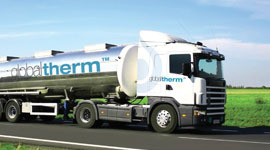 The Globaltherm heat transfer fluid brand, research, develop and manufacture new products to extend the Globaltherm®range of synthetic and mineral based fluids and heat transfer media. Globaltherm® products are supplied to customers worldwide and designed for processing applications operating at high temperatures. A safe pair of hands is vital to move bulk liquid-goods properly. Our specialist haulage services and flexible fleet of tankers and Tautliners provides the handling and safe delivery of liquids to customers throughout the world. 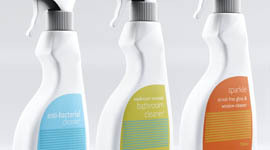 Global Hygiene and Industrial Supplies specialise in providing premium hygiene and industrial products to manufacturing companies. Our experienced client managers provide expert advice and each order can be dispatched by our same day or next day delivery service.